Edgar Allan Poe was the first American writer to try and make a living with just the power of his pen and his prodigious imagination. Most of the other great writers of the age had university positions or rich wives to finance their scribbles. The term suffering artist might not have begun with Poe, but he certainly was the quintessential representative of the destitute, creative genius. Edgar was abandoned by his father at barely one year of age and then orphaned by the time he was two. Both of his parents worked on the stage, but his mother was much more successful than his father. Edgar always had a flair for the dramatic, and it isn’t hard to see that, though he never knew his parents, their skills were still part of his persona. From his mother to his stepmother to his child bride, Poe was cursed with losing the women who were most important to him. His melancholy may have been somewhat chemical, but it was burnished to a darker hue by true sorrow. The most interesting relationship was his contentious association with his adopted father, John Allan, who donated his surname to be Edgar’s middle name . Allan was a very successful Scottish merchant, who vacillated from lavishing attention and money on Edgar to being stern, condemning, and frugal. He raised Edgar Allan Poe to be a gentleman, but did not always give him the means with which to live as one. Part of the problem came from the fact that John Allan was a self-made man and wanted Edgar to find his own footing. This disagreement between them came to a head at the University of Virginia where Poe was excelling. Allan gave him only a fraction of what he needed to live on, and Poe gambled poorly to try to make up the rest of the money. Not exactly what Allan had in mind. I do believe this is the point where Edgar Allan Poe’s life started the descent into a lifelong struggle with poverty. He left the university without a degree. He then joined the military to spite his stepfather. This is going to be a theme of Poe’s life, his special talent to cut his nose off to spite his face. He then went to West Point and was doing really well with his studies, but decided he didn’t want to continue in the military so managed to become dishonorably discharged. 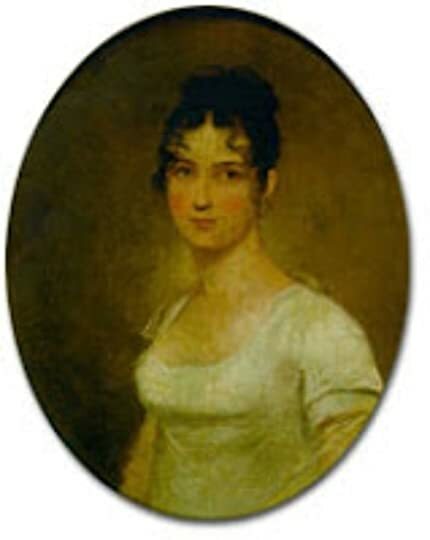 The beautiful, but delicate in health, Francis Allan, who was Edgar’s stepmother and occasional ally in regards to his stepfather. He made things worse, of course, by accusing his stepfather for all his failures, even as he asked for more money from him. Jeffrey Meyers included some of these surviving letters, and to be honest, I can perfectly understand why John Allan lost all patience with his stepson, which ultimately led to his disinheritance. Ugghhh! I did, at several points in this book, want to give EAP a good shake. There are numerous stories of people who helped Poe throughout his life, and it was a rare instance when they did not regret offering the help. He couldn’t help evaluating friends with cutting remarks. He felt misunderstood, and certainly he was right about that. His type of genius was undoubtedly unique in the 19th century, and few could fully appreciate how innovative a writer he was becoming. Poe worked for numerous publications during his lifetime, and in every case, the power of his pen made those periodicals successful. Subscriptions jumped radically each year. He was very good at making other men rich, but just as things were reaching a really good point, he would blow it up. He’d go on a bender and disappear for several days which usually resulted in heated words with his employer. Self-destructive behavior plagued him his whole life. He had a terrible drinking problem and difficulty dealing with any kind of setback or for that matter any kind of success. He wrote many book reviews, and he was unmerciful in his attacks on authors and their works. He was very personal with his evaluations and left many writers bruised and battered with his attacks. Poe called it unleashing his tomahawk. He truly meant to scalp his fellow writers at every opportunity. For someone who was so sensitive to criticism, he did not put himself in the shoes of those who were suffering under the onslaught of his malicious reviews. One of his favorite targets was Henry Wadsworth Longfellow. I’m surprised Longfellow didn’t challenge Poe to a duel. He did the opposite, in fact. 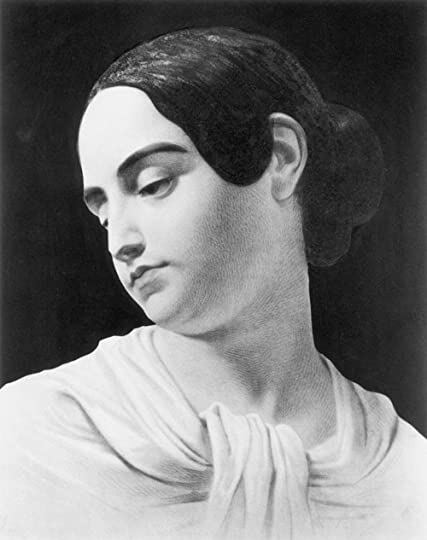 Virginia Clemm Poe, the source of much guilt for Edgar due to his inability to make enough money to properly help her with her health issues. I’ve always thought of her as this fragile waif of a girl, but from contemporary accounts, she was indeed fragile, but was curvaceous and very womanly in appearance. Longfellow also bought five editions of Poe’s work to help out the destitute Maria Clemm, the mother/Poe’s aunt of his wife Virginia, who tried her best to take care of him in his later years. The contrast between how Poe conducted himself and how Longfellow conducted himself is very telling, about how someone who should despise Poe could still see the good in him even though Poe had tried his best to eviscerate Longfellow. I don’t know much about Longfellow, but he must have been very comfortable with his abilities, and certainly, unlike many of Poe’s enemies, and they were numerous, he didn’t feel the need to splinter the bones of the corpse. 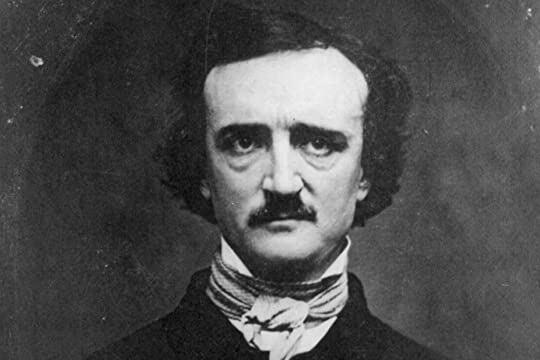 This biography gives me a clearer, more defined view of the character of Edgar Allan Poe. Like many people of genius throughout history, he was immature, reactive, self-destructive, and difficult to like. Women found him hypnotic, well mannered, baffling, and attractive, though as he tried to find a wife after Virginia died, he found it easy to obtain their attention but difficult, with his erratic history, to convince any of them to marry him. These older, intelligent women of means, the perfect match for a starving writer, were too savvy to put their futures in jeopardy with such an unreliable man, regardless of how handsome and captivating he might be. For those dedicated Poe fans out there, as am I, this might be like meeting the man for the first time.